If you have lost all of your natural teeth, whether from periodontal disease, tooth decay, injury, or for any other reason, dentures from our dentists in Las Colinas, TX can help. They replace the missing teeth to help you regain your smile, which is a big benefit for your appearance as well as your health. 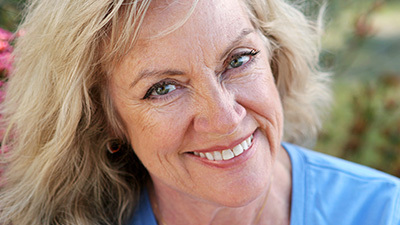 Without support from the denture, facial muscles sag, making a person look older. Most importantly, a properly fitting denture helps you eat and speak -- the things that people often take for granted until they have lost their teeth. Why Choose 21st Century Dental for Dentures? 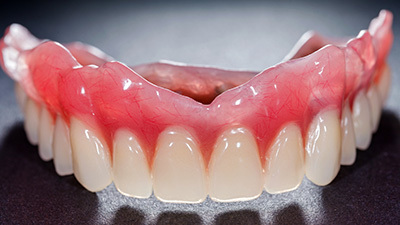 A denture is a set of prosthetic teeth attached to a plastic base that is designed to look like your gums. A full or complete denture completes smiles after total tooth loss, while a partial fills the gaps left by several missing teeth when some healthy teeth still remain. Dentures can be held in place using suction, metal brackets, or with the help of a denture adhesive. 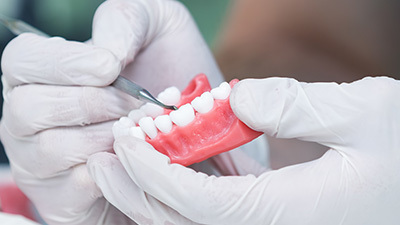 By practicing proper care and maintenance, you can expect traditional dentures to last for five to seven years before they need replacement or relining. A denture that is retained by dental implants can be expected to last longer. There are several types of complete dentures. The one that is right for your smile depends on your oral health, your budget, and your preference. 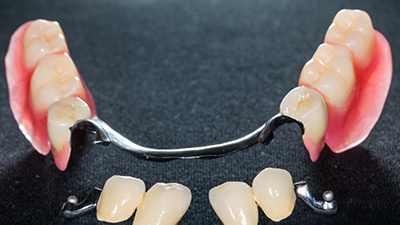 A conventional complete/full denture is made and placed in the patient's mouth after the remaining teeth are removed and tissues have healed, which may take several months. 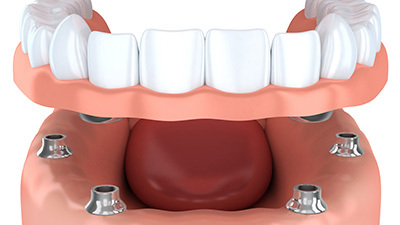 An immediate complete/full denture is inserted as soon as the remaining teeth are removed. We will take measurements and makes models of the patient's jaws during a preliminary visit. With immediate dentures, the denture wearer does not have to be without teeth during the healing period. Even if you wear full dentures, you still must take good care of your mouth to keep your oral health strong. Brush your gums, tongue, and palate every morning with a soft-bristled brush before you insert your dentures to stimulate circulation in your tissues and help remove plaque. If you still have some healthy natural teeth remaining, your dentist may recommend a partial denture. You have several options in partial dentures, depending on the number of teeth missing and where they are located in the jaw. A fixed partial denture is permanently affixed into your mouth, either attached to the surrounding natural teeth or with dental implants. A fixed partial denture cannot be removed except by your dentist. Dental implants provide a host of benefits for eligible candidates -- read more on implant-retained prosthetics below. The other option is a removable partial denture, which you can take out for thorough cleaning and to give your mouth a break at night while you sleep. Whatever your situation, the dentists at 21st Century Dental are more than capable of finding the right denture solution for you. Patients who are eligible for dental implants should consider an implant-retained denture. Dental implants are prosthetic tooth roots made of titanium, a material that heals together with your bone tissue. After a period of four to six months, the dental implants are as sturdy as any other bone in your body. Dentures affixed to dental implants provide unsurpassed stability, allowing you to eat, speak, and smile with full confidence. You won’t need an individual dental implant for each missing tooth. Instead, your dentist can retain a complete or partial denture on several strategically placed dental implants. The All-on-4 dental implant method allows for a full denture to be supported on as few as four implant posts – and this method can be completed in just 24 hours. All-on-4 also eliminates the need for preliminary bone augmentation procedures that may be necessary for conventional dental implants. 21st Century Dental provides comprehensive dental implant care, from initial placement to final restoration. Discuss your eligibility for dental implants with your dentist to find out whether or not you can benefit from an implant-retained prosthetic. Contact us today!